Neuroscientist Chantelle Fourie has a rare opportunity to spend three months near Boston, Massachusetts, researching her dream project. Chantelle, a PhD student at the University of Auckland’s Centre for Brain Research, is one of only 12 young neuroscientists from around the world to be awarded a coveted Grass Fellowship in neuroscience research. Her specialist area, and the subject of her almost completed PhD, is the brain’s hippocampus, involved in learning and memory. 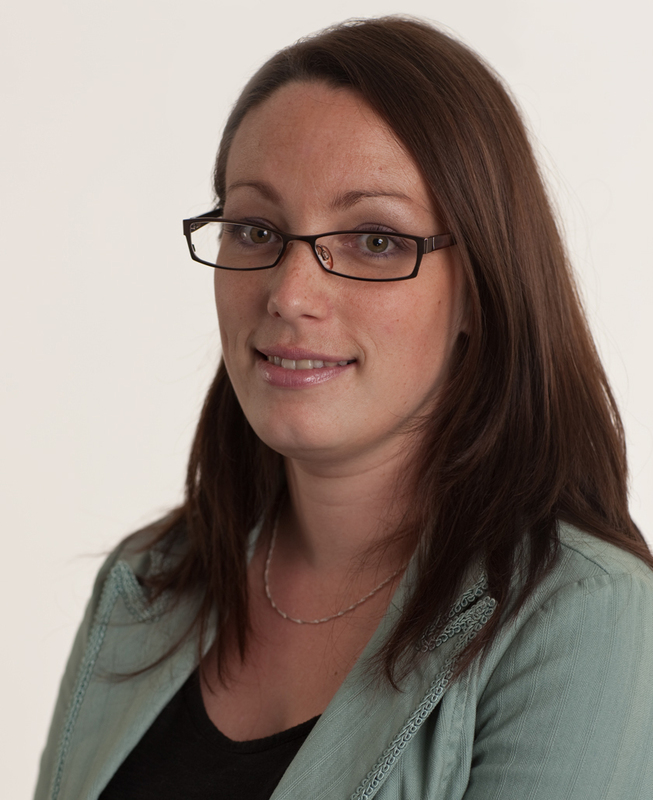 Chantelle has studied with Dr Johanna Montgomery who runs the synaptic function research group. At the Marine Biological Laboratory in Woods Hole, she will focus on using optogenetics to map inhibitory circuitry and probe its function in the hippocampus. 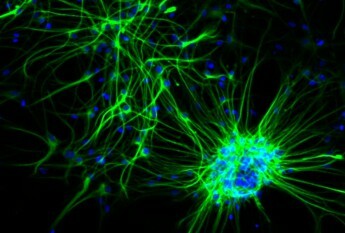 Optogenetics is the study of using light to to control the genetic transcription, and therefore the activity, of individual neurons in living tissue. The technique is exciting much interest because it can be used in freely-moving animals in real-time, and so scientists can precisely alter the activity of specific brain areas without directly affecting a subject’s behavior. Chantelle will take up the fellowship in May and spend the northern summer at Woods Hole, returning to New Zealand in September. Chantelle is due to hand in her doctoral research thesis in May, before she leaves to take up the Fellowship, and says it’s great motivation for finishing on time. Many of the post-doctoral students who do summer research at Woods Hole are able to get results and publish in that short time, partly due to the level of support offered by the scientific community there. The Grass Fellowship includes all expenses involved with the visit and the research laboratory and equipment, paid for by the Grass Foundation which is a non-profit private foundation set up to support research and education in neuroscience. The Fellowship is intended to help neuroscientists during the early stages of their career to conduct independent research within the intellectual and social group at the MBL community. This was the critical question answered in the ‘Mind Reading’ event on Wednesday. Using Magnetic Resonance Imaging (MRI) brain scans, Dr Donna Rose Addis and Associate Professor Brett Cowan were asked to spot which pattern of brain activity looked most like a true memory. The event was organised by the Centre for Brain Research and the Centre for Advanced Magnetic Resonance Imaging (CAMRI) at The University of Auckland, as part of Brain Awareness Week. Promising to reveal the science of brain imaging, ‘Mind Reading’ offered an entertaining look at the capabilities of brain imaging thanks to MRI technology. So could they do it? Well the answer was a hesitant yes! At the live event held at the Auckland Museum Events Centre, MC journalist Russell Brown pushed cognitive neuroscientist Dr Addis to make a choice, and it turned out her pick was indeed the scan taken while participant Reece Roberts was remembering a true experience. The central premise of the event revolved around psychology student Reece being put through an exciting experience – in this case a whiz around a race track – which he then had to remember. In the alternate scenario, he then had to ‘remember’ an event which never happened. In other words he had to lie and try to fool the scanner. Memory and imagination actually use overlapping brain regions and so the scans from each scenario looked remarkably similar. The packed out public audience of 400 held their breaths while the choice was made, and finally the correct answer was revealed. It turned out that increased activity in the hippocampus, which organises memory, was the clues which gave the game away for Dr Addis. So does this mean that MRI scanners could be used for lie detection? Well the answer was still a resounding no. The technology shows increasing promise for understanding human behaviour and thought, but is not reliable when scanning just one individual. This is because scientific experiments are usually conducted with a large group of people and repeated many times so that the responses are averaged out. However MRI technology, like the 3T Siemens scanner at CAMRI, is still hugely exciting for the future. With international research revealing that thoughts can be turned into words, and that people in comas still imagine moving, the sci-fi scenario of mind reading isn’t too far away. Laura will run the control room for our Mind Reading experiment! Laura is the Communications and Liaison Manager for the Centre for Brain Research. She is a literate science geek (unusual?!) and loves letting people in to the secrets of brain science. Her career has been focused around science communication and organizing exciting public science events. Mind Reading will be a first for New Zealand and Laura is very excited about this! 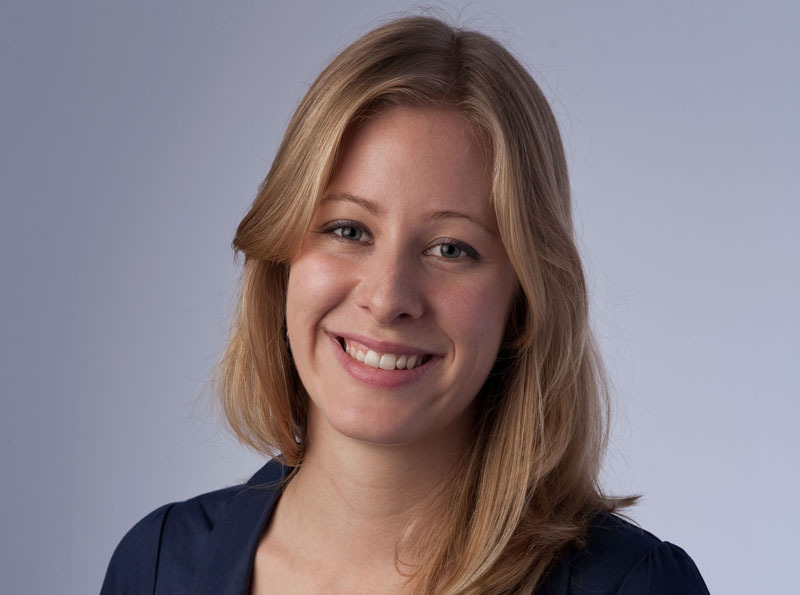 Laura trained as a science journalist at City University in the UK, and then worked as a journalist for the BBC and other stations for six years. Reporting in local news gave her a good grounding in different audiences, covering everything from murders and crime, to a dog in a bridesmaid’s dress! She then worked in production for BBC Countryfile, a rural current affairs programme that took her all over the UK. Laura has a First Class Honours degree in Biomedical Sciences from the University of Manchester and is currently undertaking an MSc in Speech Science. She moved to New Zealand three years ago, and has maintained her interest in science communication with links to the Science Communicators Association of New Zealand and the Association of British Science Writers. She is also a freelance magazine writer, and writes and edits the Auckland Huntington’s disease newsletter as well as the CBR Connections magazine. Always keen to introduce new audiences to the wonders of the brain, Laura is hoping this event will leave us all with a sense of awe for the powers of the brain. As a keen science fiction fan, she’s very interested to find out if our scientists really can tell the difference between a lie and a memory… a brave new world?! Over the next few days we will be introducing the Mind Reading team who will be bringing you the exciting live MRI event in March for Brain Awareness Week. Donna Rose is an up and coming young researcher, who studies memory and imagination. Her work is exciting much interest, and she was recently awarded both the prestigious Rutherford Discovery Fellowship and the 2010 Prime Minister’s MacDiarmid Emerging Scientist Prize. Donna Rose is a cognitive neuroscientist in the Centre for Brain Research, where she is a Senior Lecturer in the Department of Psychology. She leads the Memory Lab team, and uses neuropsychological and neuroimaging techniques to understand how we remember our pasts and imagine our futures, and how these abilities change with age, Alzheimer’s disease and depression. Dr Addis grew up in Mangere East, Auckland. She was the dux of Aorere College and New Zealand’s Top All-Round Scholar of Pacific Island Descent in 1995. She completed her BA and MA in Psychology at The University of Auckland. She then undertook a PhD as a Commonwealth Scholar at the University of Toronto, followed by a post-doctoral fellowship at Harvard University. She returned to New Zealand in 2008. Donna Rose will be leading the MRI analysis for the Mind Reading event, trying to use this exciting technology to work out if she can tell the difference between imagination and memory. Of course imagination is a nice word for lying… and so we’ll also be testing the lie detection powers of MRI! Mind reading is the ultimate superhero skill – beyond the realms of human possibility. Yet new technology is bringing this futuristic scenario within our grasp. We are proud to announce this exciting event, planned for Brain Awareness Week in March, to uncover the science of brain imaging! Join us as top scientists Associate Professor Brett Cowan and Dr Donna Rose Addis from The University of Auckland showcase the incredible technology of MRI and provide a behind the scenes glimpse of cutting-edge brain research. 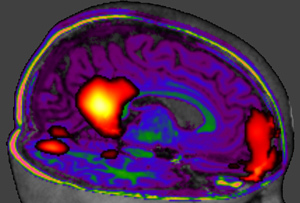 Functional Magnetic Resonance Imaging (fMRI) allows scientists to see brain areas ‘light up’ as we think. Movements, emotions, memories and intentions have all been visualised, enabling scientists to see inside a person’s mind, and possibly predict the future. Yet how much is science, and how much is fiction? In this public event we will explore the inner workings of the brain, delving into the origins of memories and learning more about our identity as human beings. Featuring live analysis of a brain scan, ‘Mind Reading?’ is a first for New Zealand. Cost: $10 (plus $3 booking fee) Tickets may be purchased on the door, or by phoning 09 306 7048. Hosted by the Centre for Brain Research and Centre for Advanced Magnetic Resonance Imaging, and with thanks to our sponsors Siemens, Auckland Museum Institute and the Royal Society of New Zealand. Dr Addis, from the Department of Psychology and Centre for Brain Research, won the $200,000 prize for her world-leading research on memory and imagination that may lead to new therapies for diseases ranging from Alzheimer’s to depression. Dr Addis will also launch a new area of research examining how the ability to remember and imagine may change in people with depression. “There is some evidence that the hippocampus is damaged in depression and it may be that this impairs people’s ability to construct memories and future events,” she says. Dr Addis studied for her undergraduate and masters degrees at The University of Auckland before travelling to the University of Toronto for her PhD. After working as a postdoctoral fellow at Harvard University for three years she returned to Auckland in 2008 to establish her own laboratory. Earlier this month she received one of only ten 2010 Rutherford Discovery Fellowships awarded to New Zealand’s most talented young researchers. For her current research Dr Addis’ major scientific collaborators are her former masters supervisor Dr Lynette Tippett and Professor Michael Corballis from the Department of Psychology. She also maintains strong collaborations with colleagues from her time in the United States and Canada. Dr Addis is from Manukau. She lives in East Tāmaki and grew up in Mangere where she attended Aorere College. She says she is very proud of her Samoan heritage and the idea of being a role model for young Pacific people as well as for young women in science. She regularly returns to her old school to talk with students and present awards, and says she feels very passionate about giving back to her community in this way.